This is an active tour for outdoor seekers. It involves hiking 18-20km along the lake Baikal shore with ups and downs, staying in a small Siberian village for a day and returning back by boat. Experienced local guide carries all food and cooks all meals on fire. 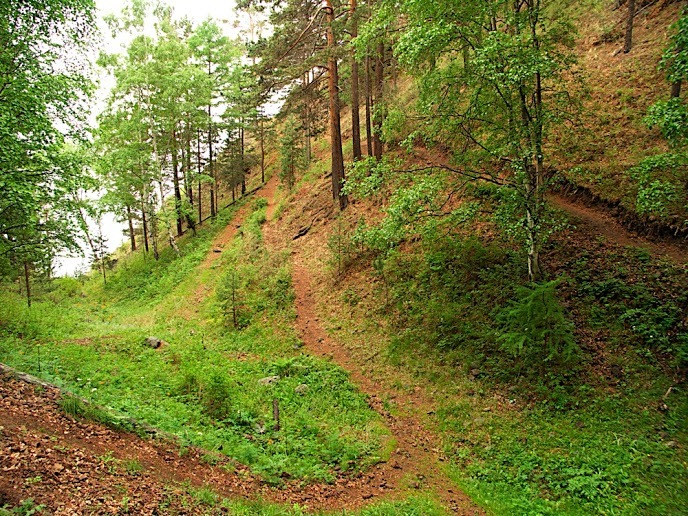 You will be met by your guide in the central square of Listvyanka to begin the hike. Eventually – usually in 6 hr – you will reach a little village calledBolshie Koty (meaning Big Boots in Russian). In 19 century that was the place to wash gold. The gold washers wore big boots to be able to stand cold water. 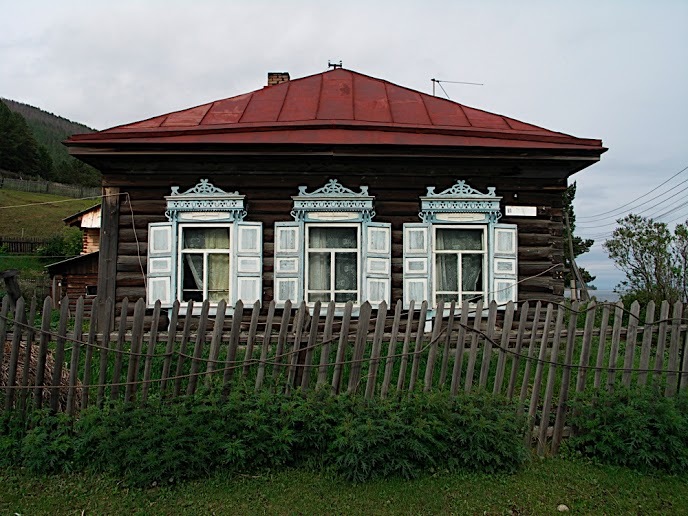 Presently, Irkutsk State University runs a summer bio lab for its students in this village. Overnight in a LESNAYA 7 HOSTEL: few nicely decorated wooden cabins with lake view. Running water, shared hot shower. Outside toilet. Full board. Your guide cooks for you breakfast and lunch. Meals as noted: Day 1 L, D. Day 2: B, L.
Make sure you’ve got a tick vaccination if you plan this hike in early-mid summer ! This tour can be challenging for VERY unfit people and people with 1 leg!